San Luis Obispo police are searching for a prowler or prowlers who have been spotted several times outside victims windows at night and have even reached inside and touched individuals while they were asleep. Over the last two weeks, police have received several calls regarding possible prowler activity at various locations in the city, according to a police department news release. Police are still trying to identify the suspect or suspects. Witnesses have vaguely described the suspect as a white or Hispanic male adult. The incidents have occurred at different times, though typically late at night or early in the morning. In a few instances, the suspect reportedly reached inside a window and touched the victims while they were sleeping. Investigators request that anyone who has been a victim or witness to any of these incidents contact the police department and report the crime. Anyone who wishes to remain anonymous can call crime stoppers at (805) 549-7867. Police instruct residents to be aware of their environment and surroundings. 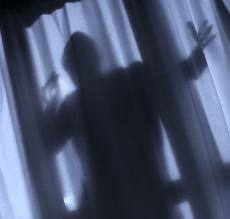 Leaving curtains and blinds open at night can increase visibility into homes. Let the creep get his nose up against the window and look down the muzzle of a twelve gauge shotgun.